All Founding Sponsors of the National Museum of the United States Army (NMUSA) can now be found on the Army Historical Foundation’s (AHF’s) website. 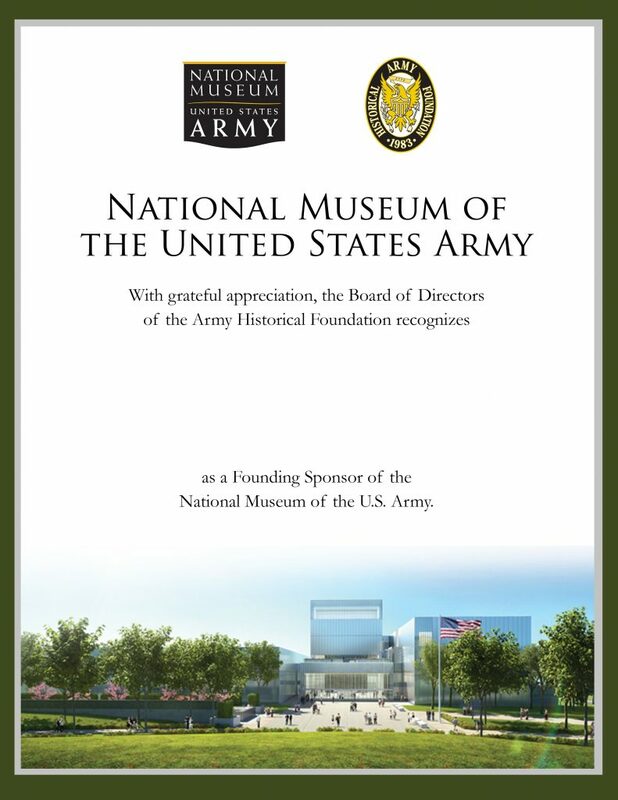 To date, the number of Founding Sponsors totals over 165,000 individuals and organizations that will forever be remembered as supporters of the National Army Museum. The Online Listing of Founding Sponsors program was created to honor their steadfast support. “This Museum would not be a reality without the contributions of our Founding Sponsors. Because of this, it is so important that we recognize these important supporters, even before the Museum opens its doors,” said Brigadier General Creighton W. Abrams (USA-Ret. ), AHF Executive Director. Founding Sponsors are able to save and print a certificate recognizing their support. This searchable database will also be featured on kiosks located in the Museum. To search the Online Listing of Founding Sponsors, visit armyhistory.org/olfs.